You’ve just obtained your very first bonsai tree. It’s a beautiful little tree in a handsome ceramic pot. But, how do you avoid killing it? 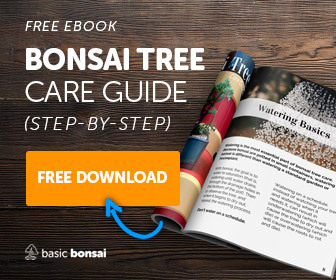 You might be asking yourself “is caring for a bonsai tree difficult?” Learning bonsai tree care isn’t difficult, but it isn’t as straight forward as you might think. 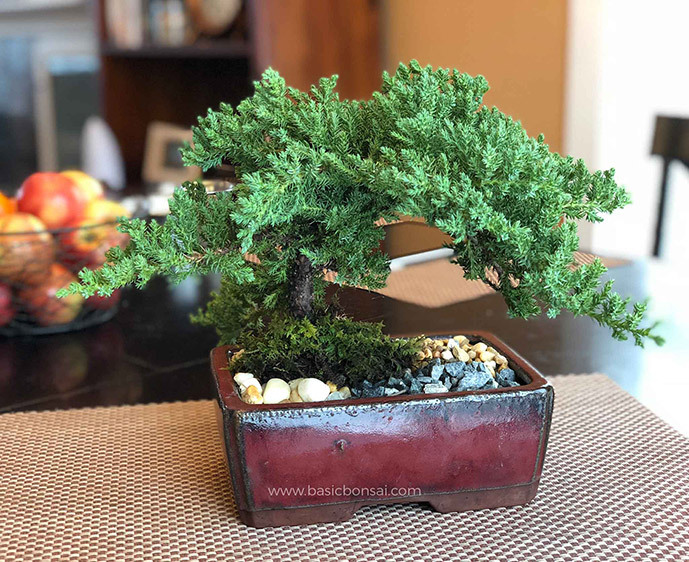 These small trees require special attention to thrive, and in this article, you’ll get a crash course in raising a flourishing bonsai tree. You received it as a gift. Bonsai is a popular gift, especially at Christmas time. Mr. Miyagi introduced western culture to bonsai in The Karate Kid, and ever since, trees have been exchanged as gifts between family, friends and coworkers. You purchased it at a store or stand. 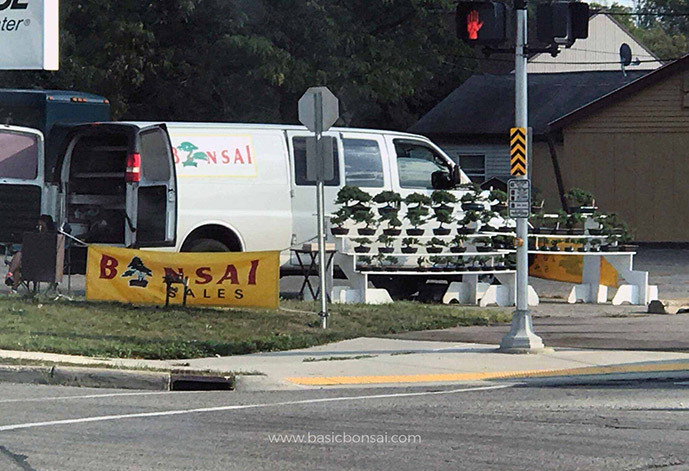 Bonsai are commercially grown and readily available at supermarkets, flower nurseries, and even pop-up roadside stands. In either case, it may have come with a small tag with brief care instructions, or you may have received a few verbal care ideas from the merchant. But these tips are normally the tip of the iceberg. It’s a common misconception that most bonsai are indoor trees. In fact, many popular beginner bonsais aren’t suitable for indoor living at all (including the juniper pictured pictured below). Now that you’ve obtained your first tree, here are some basics on where your new bonsai tree should live. Sunlight is required for photosynthesis, in which the sun’s energy is absorbed by the tree’s leaves and is used to fuel the tree’s health. The amount of sunlight your tree needs will depend on the type of tree you have. Conifers, like junipers and pines, require a significant amount of sunlight to thrive, while deciduous trees, like maples and elms, enjoy morning light, but could experience leaf burn if constantly subjected to the intense afternoon sun. Regardless of the level of sunlight required, all of the above species should be kept outside exclusively. Wind – the foliage of your tree will invariably act as a wind sail during gusts of wind. If you can, place your tree where it has some protection from unexpected windy weather. 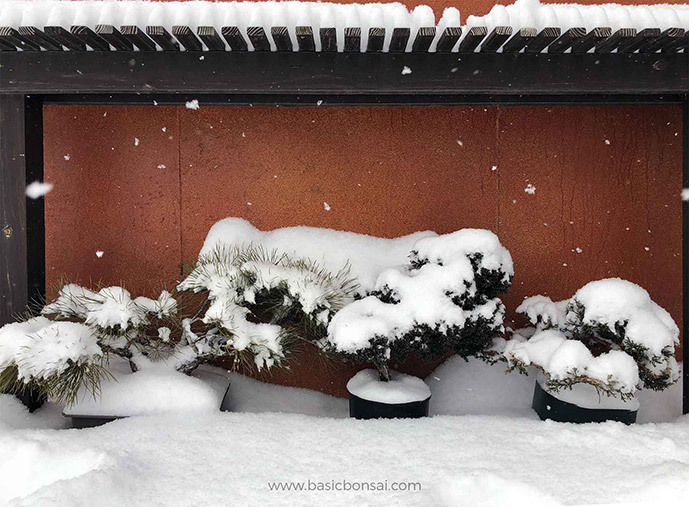 Rain – In general, rain isn’t an issue with bonsai, because a proper bonsai tree is potted in a well-draining soil and a pot which has adequate drainage holes. Here’s a personal anecdote about dealing with wind. Typically on very windy days, I’ll move my trees off their bench to a more safe location (like below the bench). On one particular fall day, I neglected to, and almost paid the price. 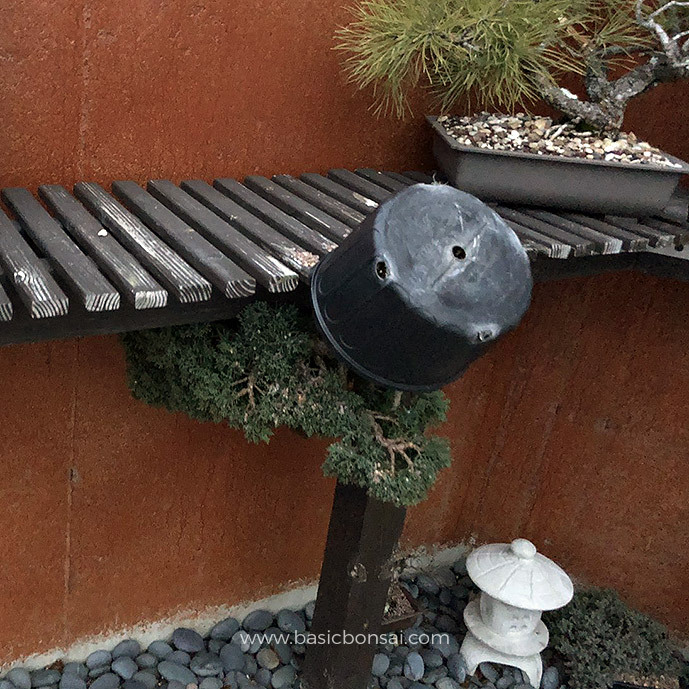 One of my junipers toppled over, but luckily the pot caught on the edge of the bench and saved it from taking a nasty spill. You may be surprised to learn that conifers can be very cold tolerant. In the winter, many species must be kept outdoors so they experience a period of dormancy. This time of rest is a requirement for many many types of conifers used for bonsai, including juniper. Ficus and other tropical trees are not hearty to cold winter temperatures, so they must be kept warm year-round. In many cold regions, this means keeping them inside away from the winter temperatures. For more information about indoor trees, check out our article: Indoor Bonsai Trees: Fact or Fiction? Watering is the most essential part of bonsai tree care. Because bonsai are potted in small containers, watering bonsai is different than watering a standard garden or houseplant. 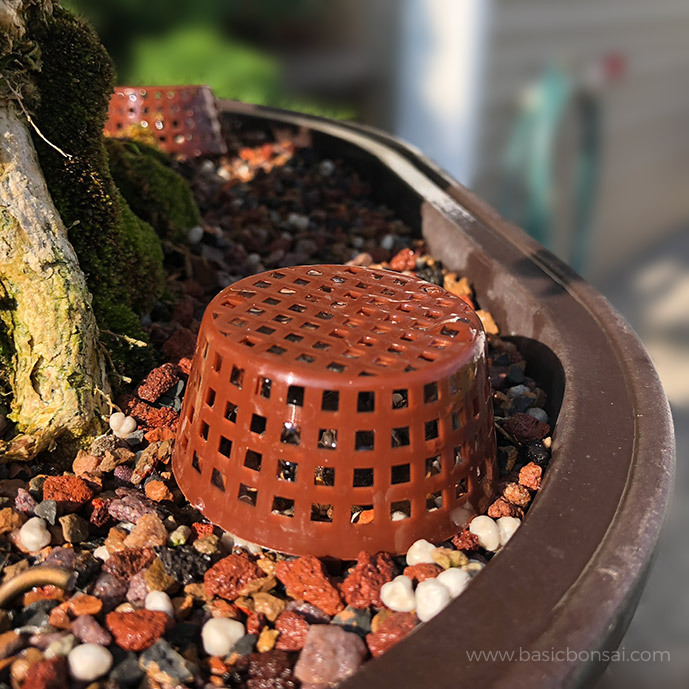 With bonsai, the goal is to water to saturation (that is, watering until water drains through the drainage holes in the bottom of the pot). Then to observe the tree, and when it begins to dry out, repeat the watering process. Don’t water on a schedule. Watering on a schedule, instead of watching your tree and watering when it needs it, can result in underwatering (which will cause the tree to dry out and die) or overwatering (which will cause the roots to rot and die). You’ll know it’s time to water your tree when the soil that’s 1” below the surface begins to dry out. Check the soil daily, and twice per day on very hot summer days. It important to never let your bonsai soil get bone dry. Allowing the roots to completely dry out may cause your tree to perish. Trees in nature get their required nutrients from the ground. In a pot, your tree will need you to provide the necessary nutrients through fertilization to maintain its growth and vigor. Fertilizer comes in a few forms, including liquid and granular. When you’re learning the basics of bonsai tree care for the first time, either of these will be sufficient. Liquid fertilizers are normally diluted in water, then applied to the tree. Granular fertilizers, like pellets, can be sprinkled on the surface of the soil. When the tree is watered, the pellets slowly break down and feed the tree. All three of these components are important to the growth of your tree. Nitrogen helps the part of the tree above the soil. It promotes healthy foliage growth and color. Phosphorus focuses on root growth. Potassium helps with the overall health, helping the tree defend itself against pests and disease. Follow the specific directions on the fertilizer packaging for application instructions. 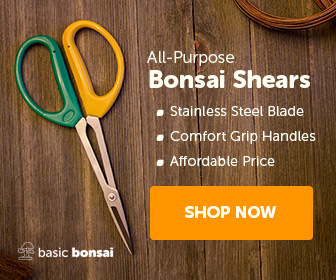 Your bonsai tree will bring you joy for years to come. Follow these simple directions to ensure it well fed, has the right amount of water, and lives in the proper environment. 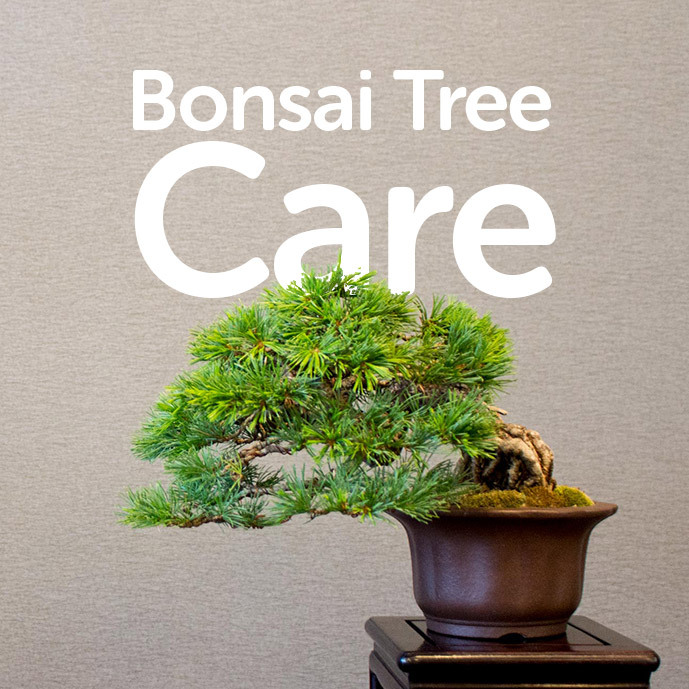 Bonsai tree care doesn’t have to be difficult!